Egg-cited for Easter in Vancouver! We thought we should help you to keep yourself busy this long weekend. How? Read on! Stanley Park has an Easter miniature train going on until Easter Monday. So, bring the kiddies and enjoy the train ride, egg hunt, and bunnies. Cross your fingers for good weather, but knowing rain-couver…bring an umbrella just in case! Community Centres local to your neighbourhood should all have something going on at least for the kids! If we listed all of them here, this would be a really boring post! 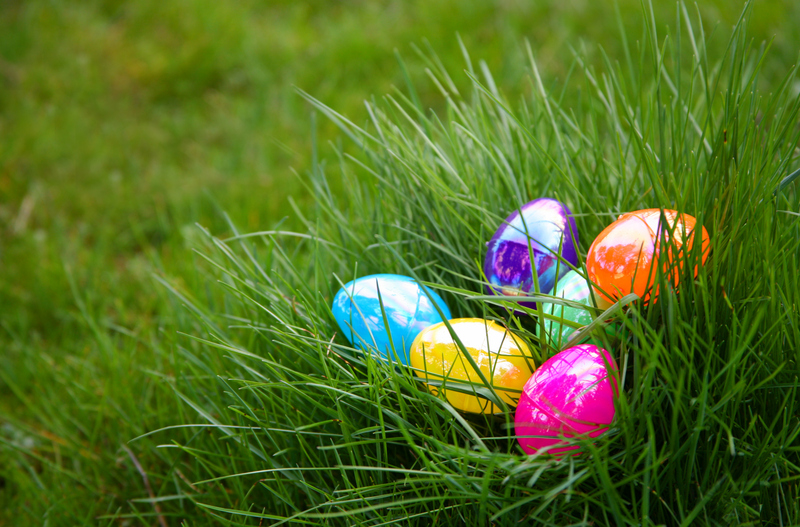 But according to our research, many community centres are holding Easter festivities at little or no cost…so, it’s definitely worth a check out! Moving away from Vancouver a little, the Chilliwack Corn Maze will also be holding an egg hunt for those who want a little more of a challenge 😉 The hunt will only be on Friday and Saturday so make sure you pick a good day! Here is wishing Everyone a Happy Easter! From our DD family to your’s! < Previous Time to go Green!